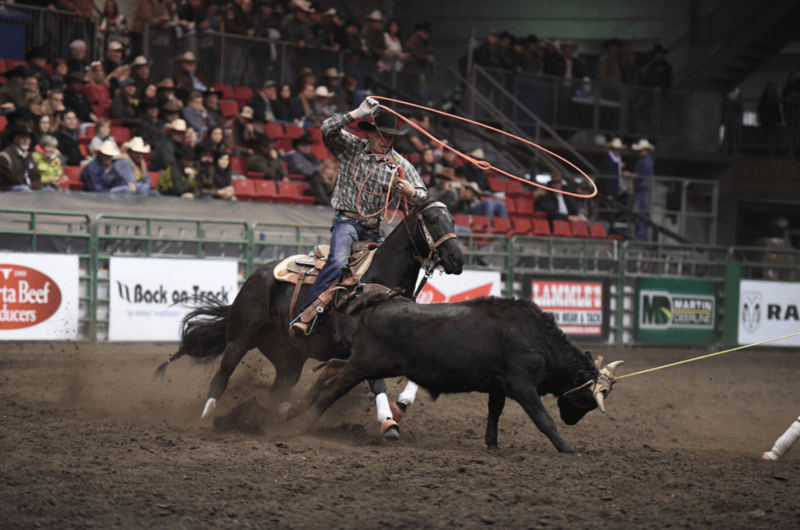 The Canadian National Team Roping Futurity held during Farmfair International is one of the most exciting events to take in. Photo Credit: Northlands. Farmfair International is one of Canada’s largest agriculture showcases. From November 7-11, Northlands in Edmonton, Alberta fills with over eight halls of western entertainment, including top producing sales, showcases and clinicians. 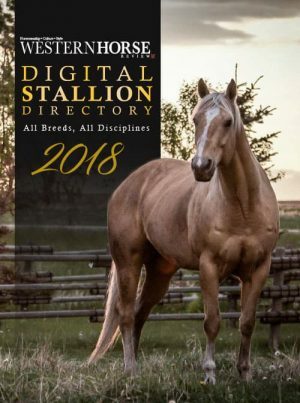 Today Western Horse Review is focusing on what makes Farmfair International so unique for breeders, trainers and enthusiasts of western performance horses. During Farmfair events are held that bolster and boost the equine economy and bring performance horse enthusiasts in by the thousands. So, whether a breeder, trainer, or competitor, how do you get your piece of the Farmfair pie, while showcasing your best up-and-coming bloodstock and prospects? First, you start with the sales. 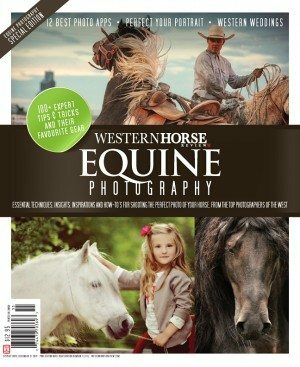 Two sales are hosted at Northlands for the western performance enthusiast. Photo Credit: Northlands. The two sales offered during Farmfair International are the place to be. Both sales are the premier auction events for performance horses throughout Canada, with deadlines closing October 1st. 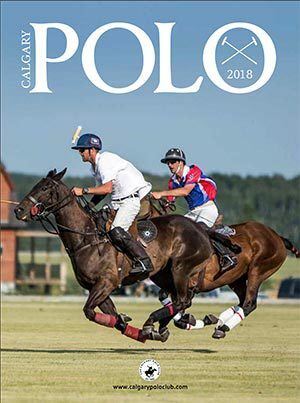 For breeders of top performance horses across Canada, the Bloodstock Sale is the premier auction and marketing opportunity for yearlings, two-year-olds and three-year-olds. This year, Northlands is only accepting 20 of the above, and the horses that enter the ring will be highly sought after prospects. An exciting pay back for breeders, trainers and owners that enter their horses in the sale is the Northlands Bloodstock Sale Incentive. 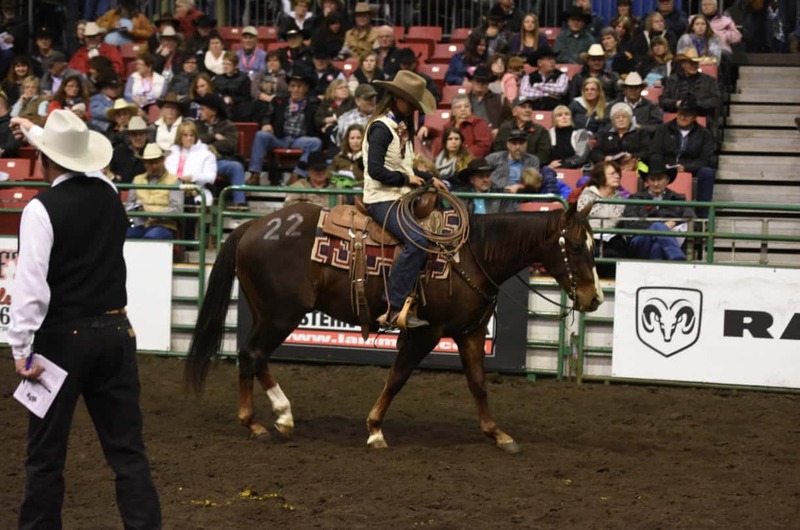 Horses that enter the sale ring are eligible to return for the added $10,000 Northlands Bloodstock Sale Incentive in subsequent years and can compete in the futurity of their choosing to win back the added money available to all horses, as well as the incentive money available to them. Directly following the Bloodstock Sale is the Ranch Horse Sale. Top yearling, two and three-year-old prospects are available at the Bloodstock Sale. Photo Credit: Northlands. After attending top sales, take in the next level of young performance horses at two futurities offered at Northlands. If you were one of the lucky members in attendance that took home a top prospect from the Bloodstock sale you can sit back and envision your colt or filly competing for the huge added purses, as well as the Northlands Bloodstock Incentive in the coming years. Start time at 9 a.m. The electrifying barrel racing held during Farmfair International features $5,000 in added prize money. Photo Credit: Northlands. 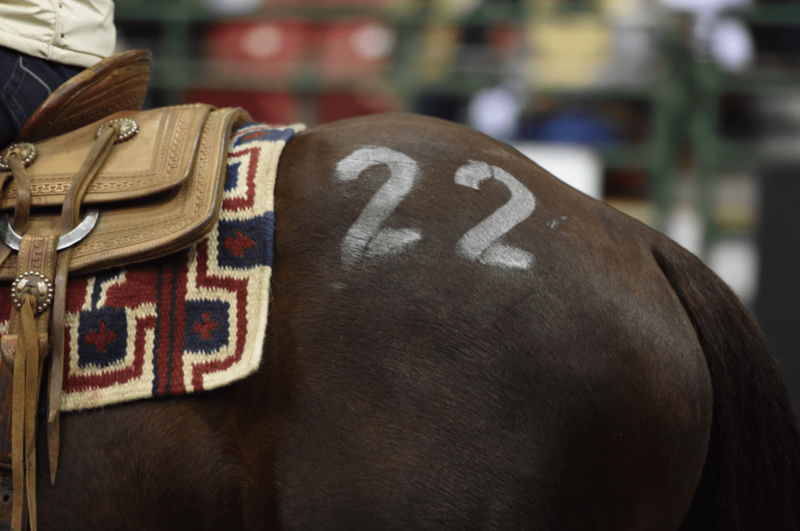 The Barrel Racing Futurity is open to any four or five-year-old horse. The Futurity will be two go rounds, with champion declared on average score and a $5,000 added purse. 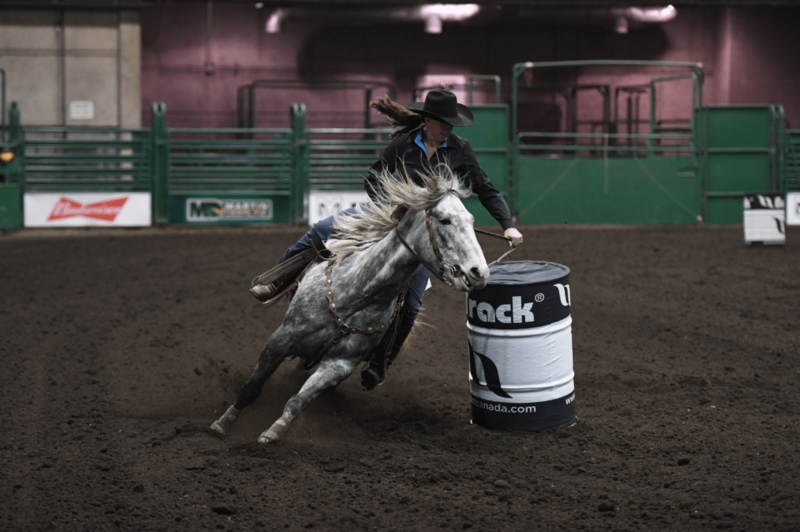 Don’t miss out on blazing fast runs with some of the top barrel racing competitors on the future power horses of the Canadian barrel horse scene. 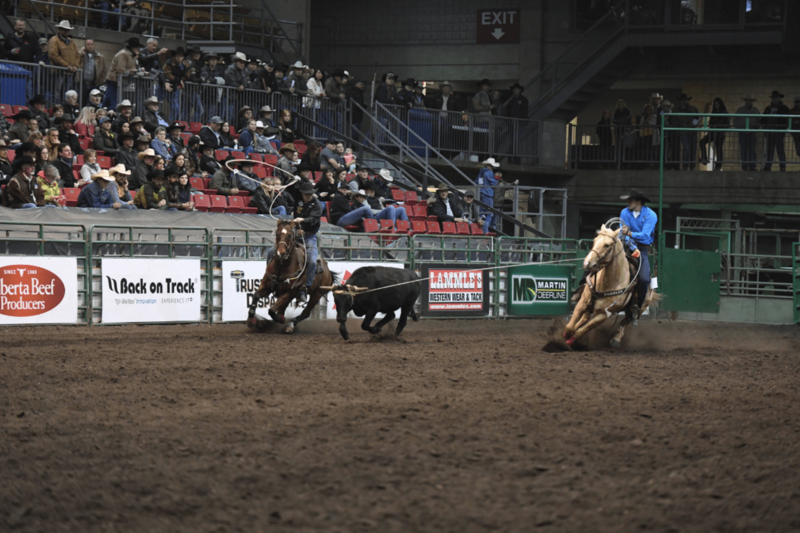 The Canadian National Team Roping Futurity is one of the most exciting events to take in during Farmfair International. Photo Credit: Northlands. A guaranteed five head judged event that showcases the best young rope horses in Canada. Open to horses five-years-old and under, the Canadian National Team Roping Futurity has become the premier showcase for roping prospects. 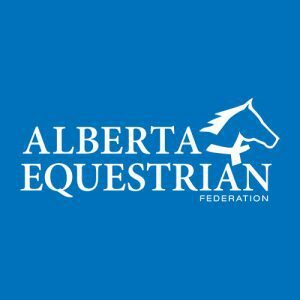 Horses compete for $25,000 in prize money and provides breeders and trainers a unique opportunity to promote their horses to team roping enthusiasts from across Western Canada.